Welcome to the Dwell exhibition and book. For a whole month we will be taking each artist's page and transforming it into a 3 dimensional dwelling. 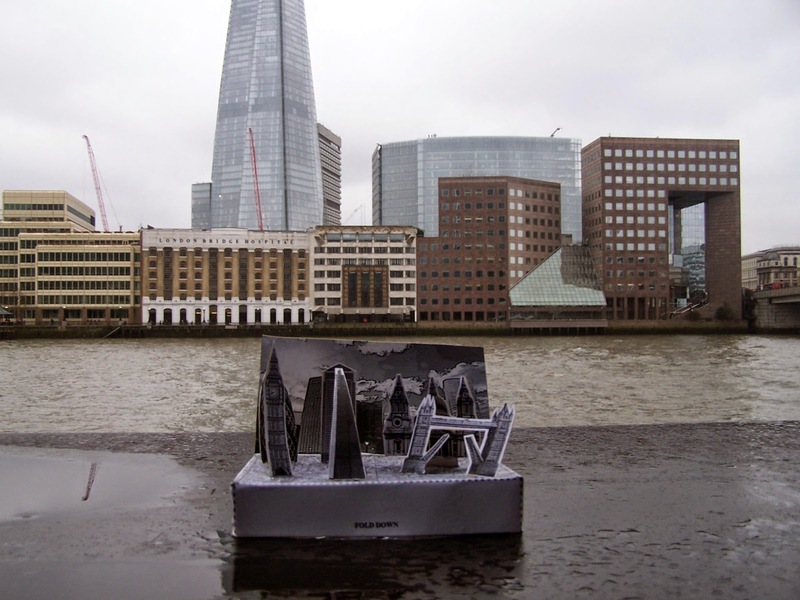 Each one of these small sculptures will be exhibited in public on the London streets. Our third sculpture, 'Cityscape' is by Bryan Benge. He has been an exhibiting artist since the 1970's and is a regular exhibitor with Collect Connect as well as organising Collect Connect exhibitions (The Future Bound). Bryan is a member of The London Group and a Lecturer of Art and Design. One of the great pleasures of being involved with Collect Connect is working alongside Bryan. Bryan is currently working on 'Episodic Schemata', a series of surreal images in which space and form are somehow twisted together to create disconcerting feelings of vertigo and where narratives never quite come into focus. 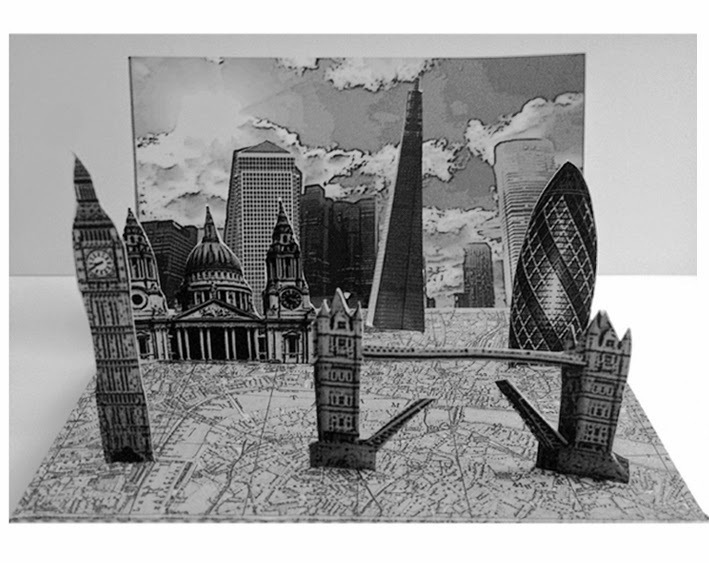 Cityscape gives us the possibility of reinventing the capital's famous skyline. 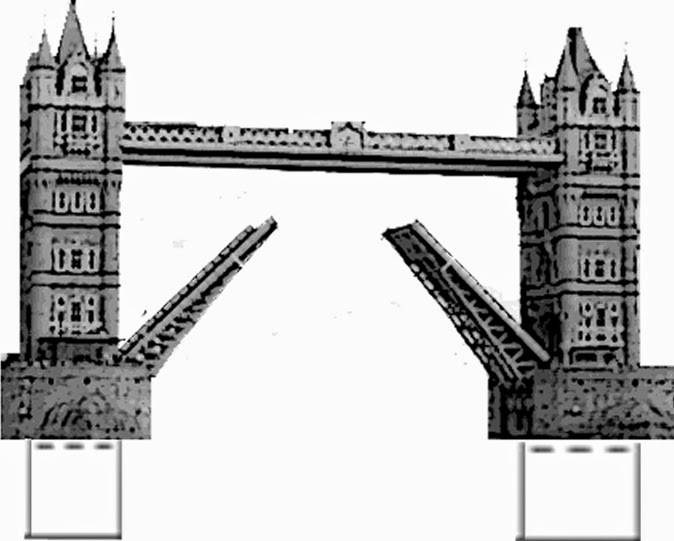 Why not have Big Ben East of London Bridge and have the Bridge itself spanning Bermondsey rather than straddling Old Father Thames? Don't forget to have a look at the next Collect Connect project, 'The Art of Caring' exhibition at The Rose Theatre in Kingston-upon-Thames. The theme is Caring/Care and it is FREE to enter. To buy the Dwell Book for £6 then follow this LINK.